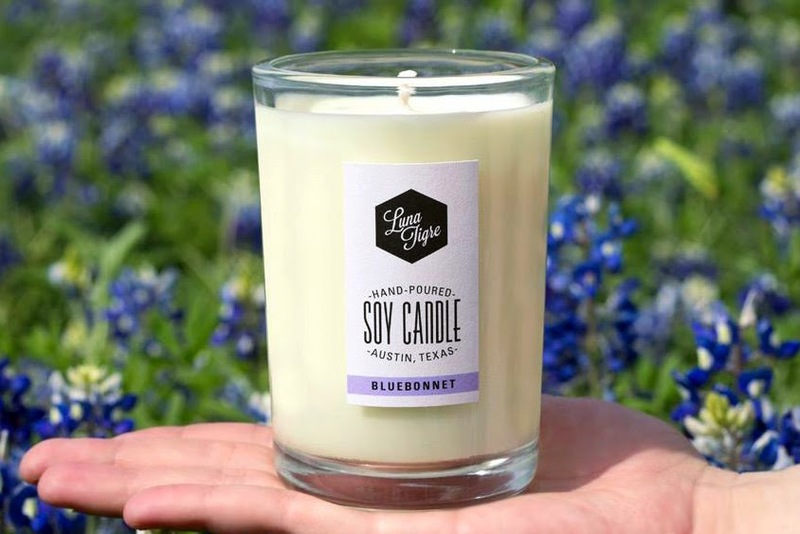 Just as burning scented candles is relaxing for many people, making these wonderful treats is calming for Austin Artist Jill Smallman. She's always had an appreciation for the arts, but it was the welcoming and inspiring Austin craft culture that helped her get her start. By attending the many fun fairs around our great city and meeting local talent, she saw what it would be like to come up with an idea and turn it into a marketable craft. 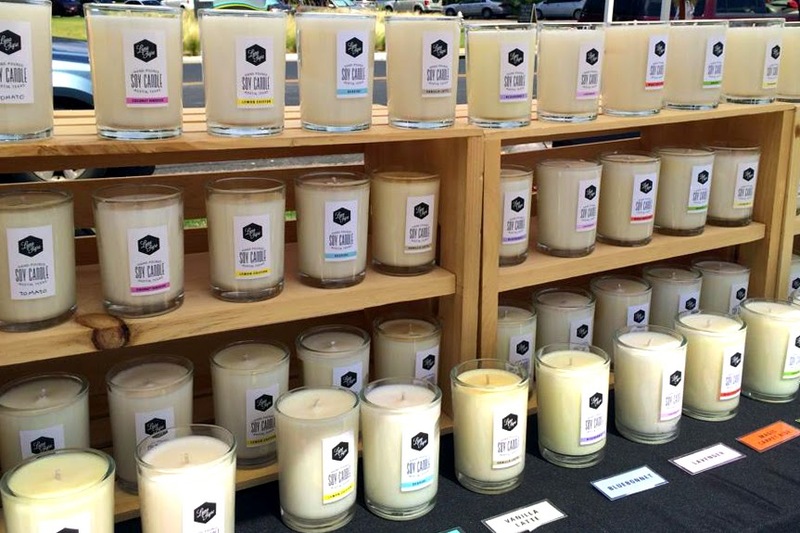 It didn't take much for her to fall in love with candle making, even if her first batch wasn’t up to the par of amazingly aromatic options she now sells. After a good deal of research into the art and science of candle making, she was ready to launch her own successful line of fantastically fragrant, eco-friendly home goods. 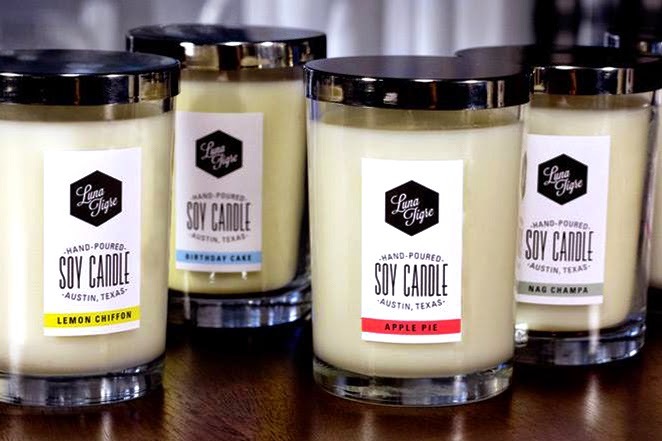 Jill uses 100% soy wax and a creative mix of high quality fragrance oils. I personally love her approach to letting the scents speak for themselves. She adds no dyes to the wax and no frills to the simple, reusable glass jars into which each candle is hand poured. Jill’s favorite aspect is turning traditionally enjoyed scents into something special. 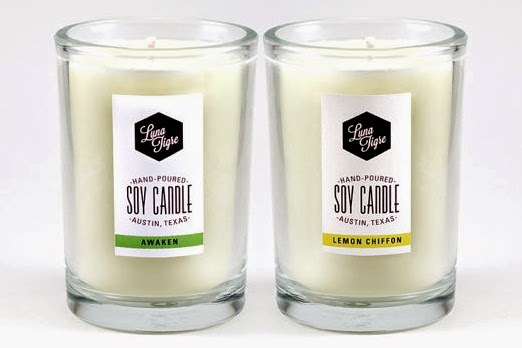 She’s come up with so many one-of-a-kind candle scents, from Lemon Chiffon to Coconut Hibiscus to Tomato to Pumpkin Spice, one I can’t wait to try. Pictures of Jill’s crafts don’t do the aromas justice. I highly recommend checking her out at Blue Genie Art Bazaar and Cherrywood Art Fair coming up later this year to smell for yourself!